The two-button Neapolitan collar is slightly more sophisticated and is enough by itself - it is recommended if you are not wearing a tie. It is a large collar which is less suitable for those with shorter necks. 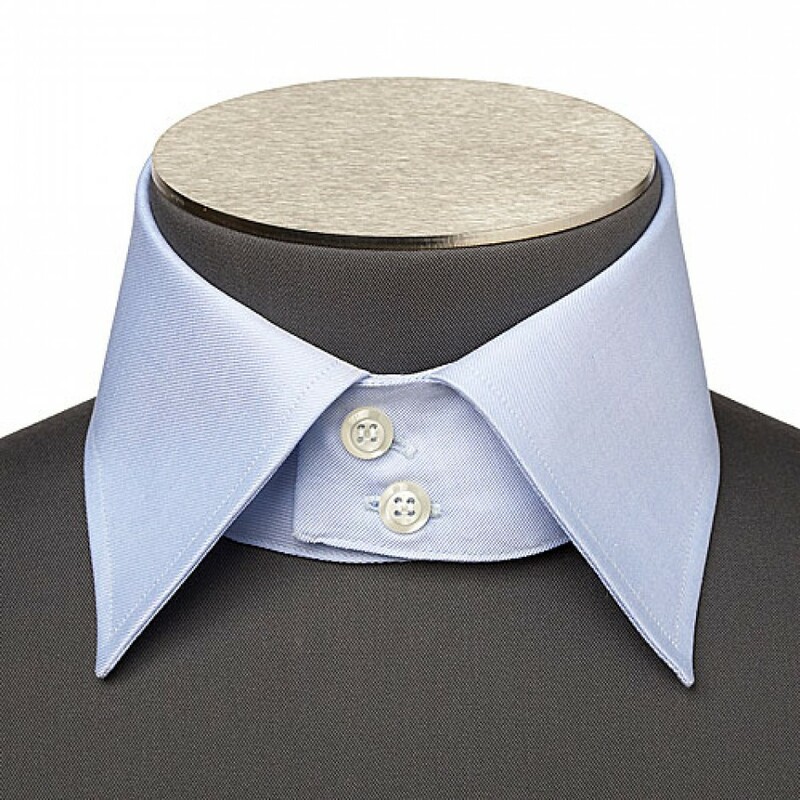 As with the Italian cutaway collar, the Italian cutaway 2-button is better suited to being worn with a tie then open. The 2-buttons give more space at the front allowing for a double knot on the tie.